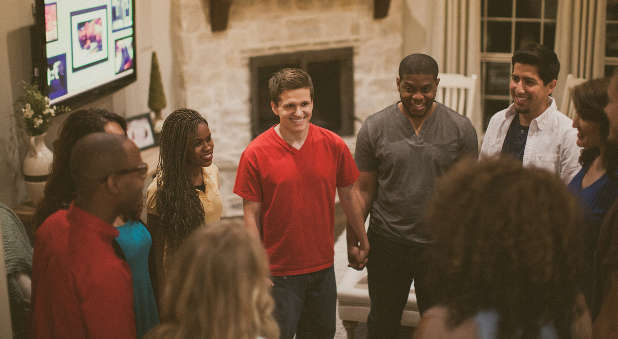 Are 'House' Churches a Fad? "Another hazard we face is that of becoming fashionable, the latest phenomenon in church statistics, the trendy alternative to traditional church. There will always be people who hop onto the bandwagon because they want to be part of the latest thing, not because the Holy Spirit is leading them." That has proved to be very true. When house church, or organic church, or simple church became a buzz word, many people jumped in. But, as I go on to say, if people don't truly live out the DNA, they will soon find that what they have is only a pale substitute for the real thing. Thankfully, those days are over. We're no longer a fashionable fad. Confusion sets in because at the beginning, most trends gain energy with people who are happy to have fun with fads, and it's only when the fad fans fade away (yes, I just wrote "fad fans fade") that we get to see the underlying power of the trend that's going on. I believe we have moved from fashionable fad to Holy Spirit-inspired trend. Could it be "for such a time as this"? Felicity Dale received her medical training at Barts Hospital in London and worked as a family doctor before leaving to look after her own family of four children. She and her husband, Tony, pioneered a church in their medical college and later in London's East End. Co-founder of House2House Ministries, Felicity has authored three books, including Small Is Big! with George Barna and Tony.